The Dead Sea is an amazing place. It’s a tiny body of water nestled between Israel and Jordan. Despite its size, it’s unique because it’s the lowest place on Earth, and it’s so salty that you’ll float without even trying. The landscape of the sea causes numerous minerals and substances to be deposited into the sea. It eventually washes ashore to the sea’s bank providing a rich mud that is filled with natural goodness. These fascinating features have given the sea an aura that is attractive to many people. Tourists come from far and wide to get a chance to soak in these healing waters and slather the mud on their skin. If you’re lucky, maybe you can take your own trip to the Dead Sea one day! However, most of us don’t have the time or money to do that. Fortunately, you can bring a little bit of the Dead Sea’s magic right to your own home! Many companies extract the mud from the sea and package it into a convenient product. While the mud is great to lather on your body, it’s most convenient to use as a mask. There are a number of Dead Sea products on the market. In fact, a trip to the Dead Sea will have you overwhelmed with all the various local brands touting their stuff. Fortunately, we’ve done the work for you. When looking over these products, take a few factors into consideration like price and what your goal is with the mask. Also, you’ll notice that some products are pure Dead Sea mud, while others are blends of Dead Sea mud with other common skincare ingredients. Both products have their merits, so assess what it is exactly you’re looking for. This product is fantastic for anyone looking to improve their complexion. It’s unique in that it serves as a deep cleanser, purging pores and shrinking them too. It also means that it’s great for people who have irritation, acne or other skin issues. The Majestic Pure mask will help to stimulate blood circulation and reduce inflammation as well, leaving you with skin to be proud of. It’s a little more expensive than other brands, but it’s still a good value because it includes other helpful ingredients such as shea butter, jojoba oil, and aloe vera juice. This mask from Pure & Essential Minerals gives users an opportunity to have the full spa experience in their own home. It’s manufactured from some very high-quality, pure ingredients. Not only does this mask provide traditional masking effects, but it’s also great for cleansing and treating skin conditions like acne. Plus, when you order this mask through Amazon you’ll receive a free e-book with your purchase. This book will guide you through a natural skincare routine to accompany your new product. A great combination for building a new you! This mask often runs out of inventory, but don’t fret. The reason for this is that they prefer to keep their product as fresh as possible and don’t like to leave it sitting on the shelves for too long. So make sure to grab this product while you can. 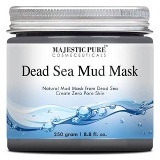 This is not a pure dead sea mud mask, but it’s a great product so we needed to include it. The Avirida mask instead contains a variety of different ingredients including dead sea mud, Australian kaolin clay, and jojoba oil. These healthy ingredients come together nicely to create mask that will effectively detoxify your skin. This brand does a great job at combating blackheads and minimizing pores. 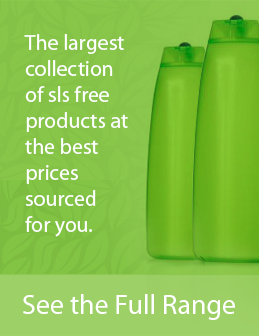 One important attribute of this brand is that it’s the most environmentally friendly product on our list. It comes in a wood container which means there is zero plastic waste. The Freeman’s line of masks is quite popular. They come in a variety of styles, are relatively inexpensive, and are a pleasure to use because of their soothing nature and aroma. Their Dead Sea Minerals mask is no exception. This mask is great for clearing and unclogging pores. It also does a great job absorbing excess oil, making it great for treating acne. 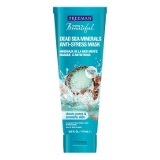 For those new to using masks, Freeman’s facial mask is a great place to start as it’s cheap and won’t cause irritation. There are a ton of reasons why you must get your hands on Dead Sea mud. Here we go over a few of the top reasons. Improves Complexion: The powerful nutrients in the Dead Sea mask help to shrink pores, reduce the appearance of lines and wrinkles, and help to draw out the toxins from your pores. It also helps to clear dead skin cells, leaving your skin clearer and brighter. Reduces the Appearance of Cellulite: It provides good blood circulation and relaxes the skin. Remedy’s Skin Conditions: These conditions include psoriasis, eczema and acne. Moisturizes Skin: It can help promote a healthy balance of oil production. Prevents Aging: This mud has the power to tighten and firm sagging skin by promoting strong elasticity. Gets Rid of Impurities: The masks work to unclog pores and to help purge your skin of any residues leaving you with fresher, younger looking skin. Those are some pretty powerful benefits! In fact, the healing power of the Dead Sea is so profound that many people travel there to treat a variety of health ailments including arthritis and allergies. But for now we are just focusing on the amazing benefits for skin, specifically through facial masks. 3. Remove: Don’t scrub these masks off harshly. Use a moist washcloth to gently remove most of it, and then use water to get the rest. 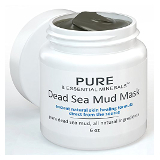 Getting your hands on a quality Dead Sea mud mask product is a must. Not only does it treat a wide variety of skin ailments and helps to prevent aging, but it also provides a relaxing, spa-like experience for all users. Use one of these products regularly and you will undoubtedly be amazed at how smooth and fresh your skin looks. We have the Majestic Pure brand as our top choice.